We make beautifully packaged and wonderfully tasting options for your special occasion including special holidays, weddings, birthdays, parties, celebrations, or meetings and conferences. 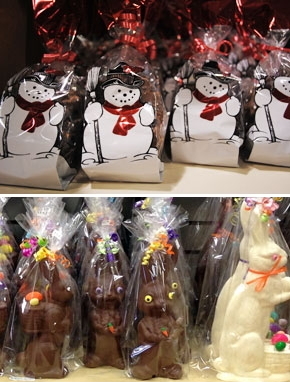 If you’re looking for a perfect gift for a holiday or occasion, whether it’s Christmas, Easter, Thanksgiving, Birthdays, Mother’s Day, Father’s Day, Anniversaries or Halloween, we have you covered with one of the largest selections of chocolates and treats in the region. 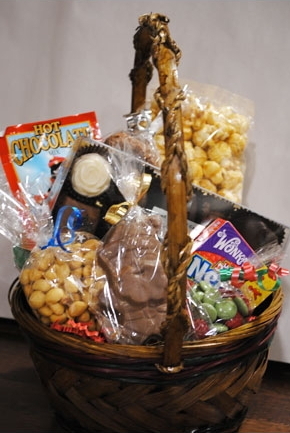 We have a wide selection of custom chocolates and candy gifts for your clients, customers or staff. Over the years, we have created many unique corporate gift offerings for holiday greetings, trade show pieces, special giveaways and more. We can make custom chocolate shapes and use your logo or brand to personalize your corporate gift. From gift boxes and baskets, to chocolate trays and branded lollipops we have elegant treats to make your business stand out. Corporate pricing is available for custom orders. Please contact us for more information.